Pakistan host New Zealand for their ICC Women’s Championship series from 31 October to 5 November, hoping to win their first ODI against the visiting side in the familiar conditions of Sharjah. Pakistan have lost all their previous 10 ODIs to New Zealand, the last time being at the ICC Women’s World Cup 2017 in Taunton, when New Zealand prevailed by eight wickets. "Our chances are quite bright. We are geared up and looking forward to gain the maximum out of Sharjah's conditions and beat them for the first time." - Bismah Maroof. But new captain Bismah Maroof is confident of doing well against New Zealand in the second edition of the ICC Women’s Championship, which runs from 2017-2020 on the same format as the previous event with all eight sides – Australia, England, India, New Zealand, Pakistan South Africa, Sri Lanka and the Windies - taking on each other in three ODIs. Pakistan captain Bismah Maroof: “Our chances are quite bright. We are geared up and looking forward to gain the maximum out of Sharjah's conditions and beat them for the first time. “The Kiwis are a strong side but that hasn’t mounted pressure on us. We understand why we lagged and couldn’t surprise them. We have worked on our weaknesses and consider that every day is a new day in the field – the past is history and the present at hand, we have to focus on that alone. Maroof said that the slow bowling attack led by former captain Sana Mir was capable of spinning any game in their favour but that the team would have to excel in other areas too. 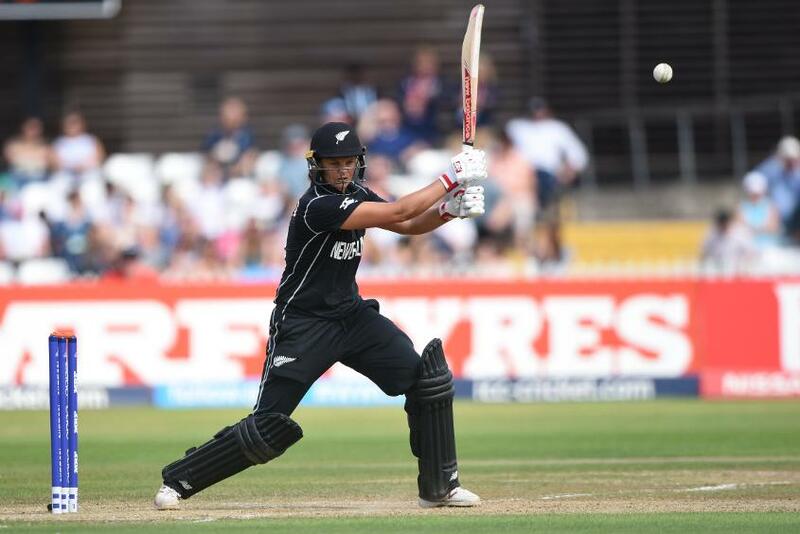 She picked captain Suzie Bates, Amy Sattherthwaite and Sophie Devine as the key players for New Zealand but added that they were wary of all New Zealand players. "The top six batters are going to be crucial for us, we need to make sure that we score enough runs and not rely on the lower order" - Suzie Bates. New Zealand captain Suzie Bates: “We’re excited to get back as a group. We have had a bit of time off since the World Cup, which did not go to plan, but it is now about the next four-year cycle and trying to improve as a group. It’s the first time we play Pakistan in a series away, so we are really excited to get back with the girls again. “Those points (six at stake in the series) are massive and I think this team just needs to really learn more about each other and learn how to be consistent. Pakistan have a really good opportunity to try a few new things in their game-plan and move this team forward. I think it is a really good chance after the World Cup, to sort of start fresh and see how far we can take this group. In the first series of the ICC Women’s Championship, the Windies completed a 3-0 triumph over Sri Lanka to notch a full six points, Australia beat England 2-1, while South Africa will play at home against India (5 to 10 February 2018). As per the recent changes to Women’s International Playing Conditions, which incorporates new MCC Laws, two new balls shall henceforth be used per innings in all ODIs. In one of the main changes in Twenty20 Internationals, only four fielders will be permitted outside the inner ring during non-powerplay overs. The Women’s International Playing Conditions can be found here. Photographs from the series will be available at the Online Media Zone for free editorial use giving credit to the Pakistan Cricket Board. Pakistan: Bismah Maroof (captain), Aiman Anwar, Aliya Riaz, Ayesha Zafar, Bibi Nahida, Diana Baig, Iram Javed, Javeria Wadood, Nashra Sandhu, Natalia Pervaiz, Sidra Amin, Sidra Nawaz, Sana Mir, Sadia Yousaf. New Zealand: Suzie Bates (captain), Sam Curtis, Sophie Devine, Maddy Green, Holly Huddleston, Leigh Kasperek, Amelia Kerr, Katey Martin, Thamsyn Newton, Katie Perkins, Anna Peterson, Hannah Rowe, Amy Satterthwaite, Lea Tahuhu. Umpires: Rashid Riaz, Asif Yaqoob, Khalid Mohammad (Senior).